4:00 PM Mar. 3rd, 2019 Ron Steeds Swinging West Coast jazz recorded March 3-5, 1961, and 1957, and 1955. 4:00 PM Feb. 17th, 2019 Peter Feldman Grammy winners, Juno nominees—and Ella! 4:00 PM Feb. 3rd, 2019 Paul Campbell Featuring selections from the Savory Collection. 4:00 PM Jan. 27th, 2019 Peter Feldman Two artists that you don't think of as musicians! 4:00 PM Nov. 25th, 2018 Peter Feldman Two VERY new releases. One by Canada's own Kirk MacDonald, and the other by a singer who may surprise you. And at the end, a celebration of a Canadian icon. 4:00 PM Oct. 28th, 2018 Peter Liu Mark Murphy, Johnny Hartman, Bucky & John Pizzarelli, and Moe Koffman, and a plea to donate to CKCU! 4:00 PM Oct. 21st, 2018 Peter Feldman Two great Canadian releases! 4:00 PM Sep. 23rd, 2018 Peter Feldman Two Hammond B-3 masters! 4:00 PM Sep. 16th, 2018 Paul Campbell Swing jazz from women band leaders and all female ensembles. 4:00 PM Sep. 9th, 2018 Peter Liu Hot!!! Latin and African infused jazz, with music from Astrud Gilberto, Paquito D'Rivera, Tania Maria, Arturo Sandoval, Sergio Mendes, Manteca, and Stan Getz. 4:00 PM Sep. 2nd, 2018 Paul Campbell Swing is in the Air is going to the movies! Join us as we celebrate Swing and Jazz soundtracks from the early days through the swing revival in the 90s and beyond! 4:00 PM Aug. 26th, 2018 Peter Feldman Two great American singers, and one killer Canadian quartet! 4:00 PM Aug. 12th, 2018 Peter Liu Summer swing party! 4:00 PM Jul. 29th, 2018 Peter Feldman Two new releases from two great guitarists! 4:00 PM Jul. 22nd, 2018 Paul Campbell Let me introduce you to Naomi Uyama, an internationally recognized Lindy Hop instructor and Jazz vocalist. She and her Handsome Devils have decades of experience playing Hot Jazz as some of the top young talent in the Chicago and New York scenes. 4:00 PM Jun. 17th, 2018 Peter Feldman It's the last of our Ottawa Jazz Festival previews, featuring Russell Malone and Jerry Granelli! Plus,we're looking at two brand-new releases from a pair of Western Canadian artists! 4:00 PM Jun. 10th, 2018 Peter Liu Interview with Paul Campbell, our newest Swing Is In The Air host! 4:00 PM May. 27th, 2018 Peter Feldman Two more artists appearing at this year's Jazz Festival are featured: Bria Skonberg and Chaka Khan! 4:00 PM Apr. 22nd, 2018 Peter Feldman Today''s show features two pianists who will appear at the upcoming Ottawa Jazz Festival: Herbie Hancock and Gonzalo Rubalcaba. 4:00 PM Mar. 25th, 2018 Peter Feldman Jazz Festival Preview! 4:00 PM Feb. 25th, 2018 Peter Feldman The one, the only...Billy Strayhorn! 4:00 PM Jan. 7th, 2018 Retro Renny Swinging jazz from 1937 to 1960, concentrating mainly on the 1940s. Music from Duke Ellington, Jimmy Witherspoon with the Count Basie Orchestra, Lester Young, Helen Humes, Slim Gaillard, Billie Holiday and more. 4:00 PM Dec. 17th, 2017 Peter Feldman My final show of the sesquicentennial! The all-Canadian line-up is as great as ever! 4:00 PM Nov. 26th, 2017 Peter Feldman Two big bands and one great new singer! 4:00 PM Oct. 22nd, 2017 Peter Feldman It's the annual funding drive combined with great Canadian jazz! 4:00 PM Oct. 8th, 2017 Retro Renny Bit o' Basie, Cootie Williams, Duke Ellington, Dorsey Brothers and more. 4:00 PM Sep. 17th, 2017 Peter Feldman Artists I have known! 4:00 PM Jul. 30th, 2017 Peter Feldman Join me as our sesquicentennial all-Canadian line-up continues! 4:00 PM Jul. 9th, 2017 Peter Liu Kellylee Evans - Live in Studio! 4:00 PM Jun. 25th, 2017 Peter Feldman Through the mail-slot. All new Canadian Jazz! 4:00 PM May. 28th, 2017 Peter Liu Fawn Fritzen & David Restivo - Live in Studio! 4:00 PM May. 21st, 2017 Peter Feldman Where are they now? 4:00 PM Apr. 30th, 2017 Peter Feldman JUNO Celebrations continue! 4:00 PM Apr. 16th, 2017 Retro Renny It Don't Mean A Thing If It Ain't Got That Swing - A blast from the past with the big guns of the Swing Era: Basie, Ellington, Lunceford, Krupa, Shaw, Dorsey & more. 4:00 PM Mar. 26th, 2017 Peter Feldman It's JUNO Week! 4:00 PM Feb. 26th, 2017 Peter Feldman All-Canadian line-up continues! 4:00 PM Jan. 22nd, 2017 Peter Feldman All-Canadian, and New! 4:00 PM Dec. 18th, 2016 Peter Feldman Swing! Swing! Swing! 4:00 PM Nov. 20th, 2016 Peter Feldman Strings, Strings, Strings! 4:00 PM Nov. 6th, 2016 Ralph Hopper The last day of funding drive and I've got a great bunch of tunes lined up from some wonderful Canadian musicians. 4:00 PM Oct. 23rd, 2016 Peter Feldman "Jazz on a Summer's Day"
4:00 PM Sep. 25th, 2016 Peter Feldman Special Guest: Doug Martin! 4:00 PM Jul. 17th, 2016 Peter Feldman Cool off in the heat! 4:00 PM Jun. 26th, 2016 Peter Feldman The Art of Vocalese! 4:00 PM Jun. 12th, 2016 Bill Krause Jazz Live! 4:00 PM May. 29th, 2016 Peter Feldman Big Sound! 4:00 PM Mar. 20th, 2016 Peter Feldman Happy Anniversary, Blue Note! 4:00 PM Jan. 10th, 2016 Peter Liu & Scott Poll Nothin' but Big Band! 4:00 PM Dec. 13th, 2015 Peter Feldman All About Dat Bass! 4:00 PM Nov. 29th, 2015 Peter Liu & Scott Poll Television meets jazz...who knew? 4:00 PM Nov. 22nd, 2015 Peter Feldman 100 Per Cent Canadian! 4:00 PM Oct. 18th, 2015 Peter Feldman "Cool" and Hot! 4:00 PM Aug. 30th, 2015 Peter Feldman A Whirlwind Jazz tour of Montréal! 4:00 PM Jul. 26th, 2015 Peter Feldman The incomparable Buddy Rich! 4:00 PM Dec. 14th, 2014 Karen Oxorn Holiday and Seasonal Jazz Party! 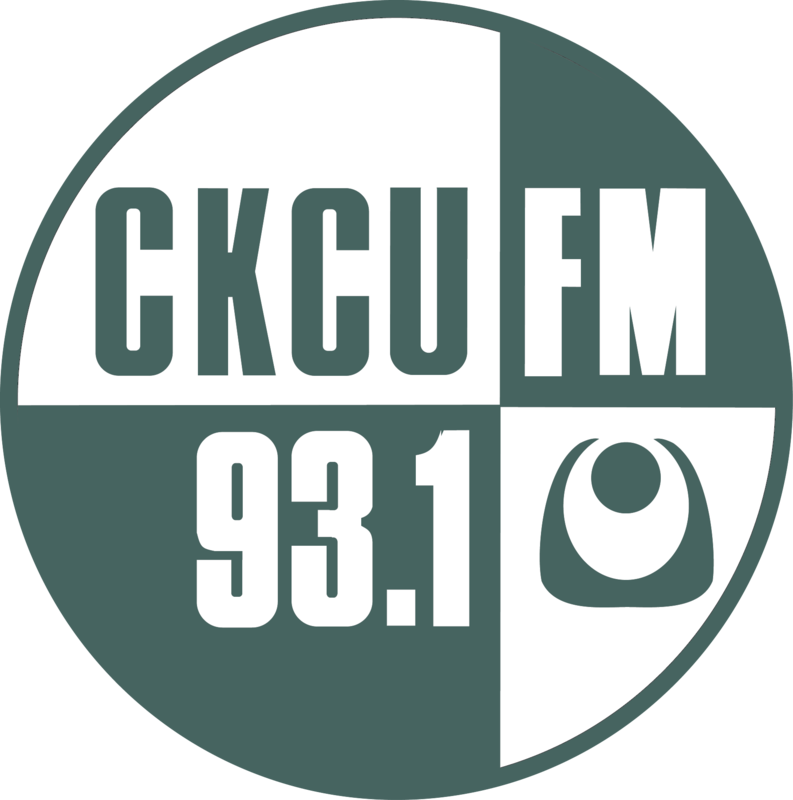 4:00 PM Nov. 9th, 2014 Karen Oxorn CKCU FM Funding Drive Final Program! 4:00 PM Oct. 26th, 2014 Vince Rimbach My guest will be Ralph Hopper. We will be talking about the Funding Drive, talking to Ralph about his experience at CKCU over the years and listen to some great music. 4:00 PM Sep. 14th, 2014 Vince Rimbach In honor of John Coltrane's birthday on Sept. 23rd, I will be playing his music and recordings from people influenced by Coltrane. Hope you can tune in. 4:00 PM Aug. 17th, 2014 Vince Rimbach I will have an interview with saxophonist Phil Dwyer. We will listen to his latest CD "Look for the Siilver Lining" Plus Mike Stern, Miles Davis, Bill Evans, Jane Bunnett and much more. 4:00 PM Aug. 3rd, 2014 Vince Rimbach At 4:00 my guest will be Alex Moxon of the Chocolate Hot Pockets. At 5:00 my guest will be New York organ player Brian Charette(http:/​/​brian-charette.squarespace.com/​) Brian just won the 2014 DownBeat Critic's Poll for "Rising Star:Organ" . 4:00 PM May. 25th, 2014 Vince Rimbach My guest will be saxophonist Zak Frantz. We will talk saxophone and find out what Zak has been up to lately. 4:00 PM May. 18th, 2014 Karen Oxorn Where to Listen to Jazz While You Wine and Dine! 4:00 PM Apr. 27th, 2014 Vince Rimbach New releases by the Yellowjackets and Joshua Redman. Plus Brad Meldau and much more. 4:00 PM Mar. 30th, 2014 Vince Rimbach Recordings from musicians who will be performing in this years Ottawa International Jazz Festival which will include Diane Reeves, Ambrose Akinmusire, Mark Turner and much more. 4:00 PM Jan. 5th, 2014 Vince Rimbach The spotlight is on some of this past years CD releases by Ottawa's musicians. 4:00 PM Dec. 8th, 2013 Vince Rimbach Kellylee Evans will be my guest on the show. We will be talking about her new CD "I Remember When"
4:00 PM Nov. 24th, 2013 Vince Rimbach Mark Ferguson will be my guest this week. We will listen to and talk about some of the many CD's that Mark has been involved with. 4:00 PM Nov. 10th, 2013 Vince Rimbach Funding Drive is coming to an end. Please donate. My guest will be saxophonist Brian Asselin and we will be talking saxophone. 4:00 PM Oct. 27th, 2013 Vince Rimbach Funding Drive and Jazz plus I will be interviewing Jean Pierre Moisan. 4:00 PM Sep. 22nd, 2013 Vince Rimbach Alex Moxon will be in to talk about some of his gigs in town.I will be playing new music from Keith Jarrett, Preservation Hall Jazz Band and Brad Meldau...plus much more. 4:00 PM Aug. 25th, 2013 Justin Duhaime Celebrating Pat Martino and Wayne Shorter. Happy Birthday fellas!!! 4:00 PM Jul. 21st, 2013 Vince Rimbach I will be joined by Nicole Ratte to talk about her CD and what she has been up to lately. 4:00 PM May. 12th, 2013 Vince Rimbach We will listen to among others the big bands of Maria Schneider, Dave Leibman, the Village Vangaurd Orchestra, Darcy Argue and much more. 4:00 PM May. 5th, 2013 Justin Duhaime Guitar Now! 4:00 PM Mar. 3rd, 2013 Ralph Hopper Live from...Canadian jazz musicians recorded live at venues long gone in some cases but not forgotten. 4:00 PM Dec. 30th, 2012 Jacques Émond New And Not So New Releases. 4:00 PM Dec. 16th, 2012 Jacques Émond Music from Detroit's jazz label Mack Avenue Records. 4:00 PM Dec. 9th, 2012 Jacques Émond Music at Hermosa and Capozzoli's. 4:00 PM Oct. 21st, 2012 Jacques Émond All local show. 4:00 PM Aug. 26th, 2012 Jacques Émond Gerry Mulligan Concert Band. 4:00 PM Aug. 12th, 2012 Jacques Émond Male Jazz Singers. 4:00 PM Aug. 5th, 2012 Jacques Émond New releases and reissues. 4:00 PM Apr. 15th, 2012 Jacques Émond New releases. 4:00 PM Apr. 8th, 2012 Jacques Émond Stan Kenton Orchestra recorded live. 4:00 PM Feb. 12th, 2012 Jacques Émond The music of Woody Herman and His Orchestra. 4:00 PM Jan. 22nd, 2012 Jacques Émond New Releases and Reissues. 4:00 PM Jan. 1st, 2012 Jacques Émond Big Bands of the month. 4:00 PM Jul. 3rd, 2011 Jacques Emond Varied program. 4:00 PM Jan. 23rd, 2011 Jacques Emond Happy Birthday Duke! 4:00 PM Jan. 2nd, 2011 Jacques Emond Best jazz labels of 2010. 4:00 PM Dec. 26th, 2010 Jacques Emond Pianist Erroll Garner part 3.